The UW Program on Climate Change in collaboration with Cascadia Climate Action is organizing the Schooner Series, a graduate student-led spin off of Climate Science on Tap. This series offers an opportunity for graduate students from the University of Washington to converse with the public about climate change through a series of short educational talks and discussions. 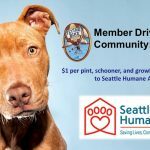 These events are held at breweries and tap houses, and are open to all ages. The first event in the series will be held at Flying Bike on March 14 from 7 PM to 8 PM. We are expecting this to be a popular event so come early to grab a beer and a seat! Climate contrarians have long pointed to snowfall and cold weather events to question the scientific reality of human-induced climate change. How do we counter these spurious claims? Spend an evening with graduate students from UW to learn about the distinct difference between weather and climate variability and how recent cold weather events fit into the context of climate change. 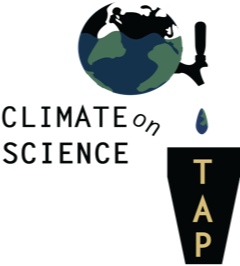 The UW Program on Climate Change is hosting the first event of the Schooner Series, a spin-off of Climate Science on Tap, to provide the community with tools to talk about climate change during a season of record snowfall in Seattle. We will discuss the background of natural variability in the climate over the last 50 million years. We will then focus on the context of recent local weather events and end with a talk exploring the public health implications of dramatic weather patterns. This event is sponsored by the University of Washington Program on Climate Change and Cascadia Climate Action.